After almost two weeks of insane matches and upsets, it has come down to the final showdown. And it could not have been any better news than World No. 1 Novak Djokovic and World No. 2 Rafael Nadal making it to the Australian Open final. 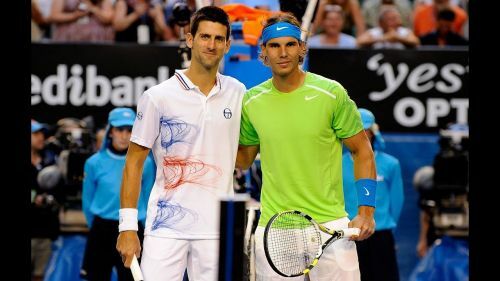 The last match the duo played at the Australian Open was in the 2012 final, where Djokovic edged past Nadal 7-5 in the fifth set. The match lasted a titanic 5 hours and 53 minutes; it was a battle that redefined what was physically possible on the tennis court, and hailed as one of the greatest matches ever in history. Both the champions have had a smooth journey to the final this time. The Spaniard completely outplayed the Greek sensation Stefanos Tsitsipas in his semi-final clash which lasted less than two hours. Similarly, Djokovic also crushed his opponent Lucas Pouille in straight sets. The duo have faced each other 52 times over the course of their careers, which is the highest number of matches played between any two players in the Open Era. Djokovic leads the head-head meetings 27-25, and also leads 18-7 in their hardcourt meetings. But Nadal leads 4-3 in their Grand Slam final encounters. Their last meeting was at the Wimbledon semifinal last year which Djokovic won in a thrilling five setter. The World No. 2 has been absolutely relentless in his journey up to the final. The biggest improvement in his game has been his serve; a quicker serve has helped the 2009 champion win lots of free points, and his big forehand has helped in executing the one-two punch. 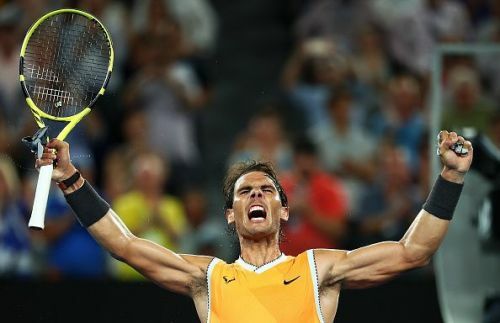 Nadal is eyeing to become the third man in history after Roy Emerson and Rod Laver to win all the Grand Slams at least twice, and the first in the Open Era. 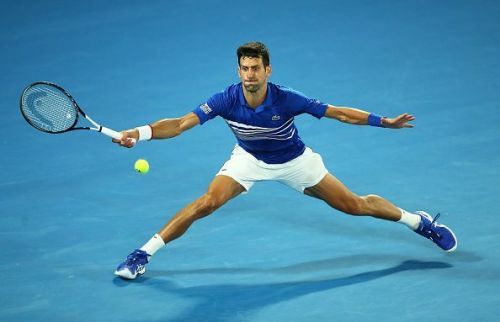 He will have to serve the same way he has done in the previous rounds to fend off Djokovic's returns, and he will also have to play aggressively from the baseline. Can Djokovic win a third Grand Slam on the trot? The World No. 1 has been in terrific form and is eyeing a record 7th title at Melbourne. Djokovic's down-the-line backhand is the biggest weapon that he has against Nadal. However, his crosscourt backhand has also given the Spaniard plenty of headaches. Djokovic's deep-angled backhands push Nadal wide into the court, helping the Serb expose Nadal's backhand side. If anyone can trouble Nadal, then it has to be Djokovic. Whatever happens on Sunday, one man is poised to create history.